Miranda Gale is project manager of Together We’re One. 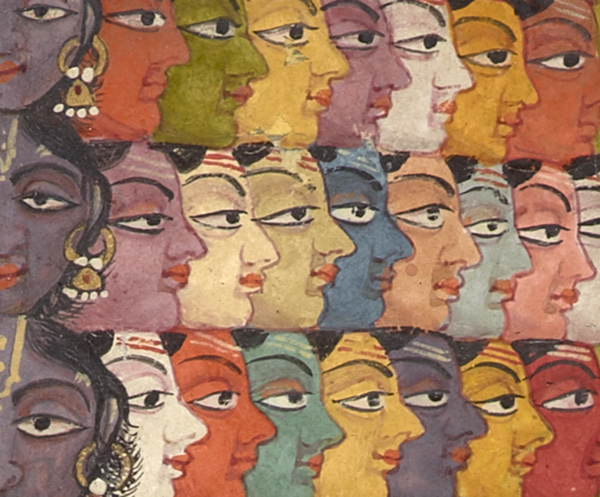 On Wednesday, May 29, the Freer|Sackler will launch the Smithsonian’s first major crowdfunding campaign, “Together we’re one.” The campaign will support Yoga: The Art of Transformation, the world’s first exhibition on yogic art, opening this October at the Sackler Gallery. You may have read about the campaign in the Washington Post, Wall Street Journal, Washington City Paper, or DCist, or perhaps heard about it on NBC Washington—but what exactly is “Together we’re one,” and why did we choose to launch the campaign in the first place? Here are the answers to our most frequently asked questions as we prepare to make yoga history over the next five weeks. We’re trying a new (to us, at least!) and innovative fundraising approach worthy of a new and innovative exhibition. Crowdfunding is not too different from our other fundraising efforts; we’re just asking more people for a smaller amount of money, rather than asking a few people or corporations for a large amount of money. Since so many people practice and are enthusiastic about yoga, we’re choosing a format that allows everyone to get involved, not just those who have the means to make large donations. Why does the Smithsonian need money? Don’t our taxes fund the museums? While federal taxpayer funding covers some of our costs (mostly operating costs, such as keeping the galleries clean and the lights on), private and public support—whether from donors, sponsors, or grants—cover the majority of expenses related to exhibitions and programming. We rely on public and private support to offer our programs and exhibitions free of charge to the public. Private and public support for the Yoga exhibition will help us create videos, publications, and pamphlets; print catalogs (and sell them for a much more reasonable price than through a bookstore! ); offer yoga classes during the exhibition, and more. The cost of putting on a major exhibition like this one is high—but not unusual for the Freer|Sackler. It is simply necessary for keeping the artwork and visitors safe and ensuring a quality experience for both. Yoga: The Art of Transformation, a longtime labor of love for the Freer|Sackler, will bring more than 130 artworks from around the world to Washington, DC. The associated costs are high. All donations will fund the unexciting but expensive logistics (shipping, mounting, lighting, paint, cases, labels), plus the fun aspects that allow us to better share the exhibition’s content with the public: workshops for adults and families, yoga classes in the exhibit space, a yoga festival, pamphlets and other takeaway materials, honorariums for speakers and teachers, a comprehensive website, and videos. It will also support a public symposium that will bring international art and yoga scholars to DC, and the production of a full-color exhibition catalog, the first on yogic art.